Dario Campolattaro is the CEO for Summit Insurance Services. He’s responsible for the leadership, direction, strategy and growth of Summit Insurance Service. Summit Insurance Services provides insurance consultation and support for employers of 50 to one thousand employees in the Washington DC metro market. With his team, Dario has positioned Summit as subject matter experts in health and welfare benefits along with healthcare reform. Summit helps its clients in three key areas: Negotiating plan design and pricing, communication and support and compliance. Fred Diamond: What exactly do you sell today and tell us what excites you about that. 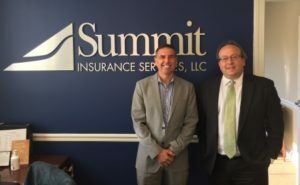 Dario Campolattaro: The primary function of what Summit Insurance Services does is consult and sell insurance to employers in the DC metro market. Again, it’s probably about 50 to a thousand employees, we work with those employers to develop, execute, support a comprehensive benefit package for their employees. Fred Diamond: What type of companies do you typically sell to? You gave us the number, but what type of industries do these companies usually fall in? Dario Campolattaro: It’s really across the board, Fred, so if you think about any business that has insurance for their employees – and that’s a huge issue for most employers nowadays, both for keeping and attracting talent and most importantly for managing their cost – we work with restaurants, we work with government contractors, we work in telecom, IT, construction, you name it, we help those employers. If they have insurance for their employees, we’re a consultant that can help them. Fred Diamond: Tell us how you first got into sales as a career. Have you always been selling insurance? Tell us how you knew that sales was the career for you. Dario Campolattaro: I wish I could say I grew up as a little boy wanting to me an insurance salesman but that’s not necessarily how it happened. I fell into sales early in my career about 22 years old, I stumbled into an opportunity to work for an insurance company out at Baltimore, MAMSI health plans and it took me a little time but then maybe over the course of some years I figured out that maybe I had some skills in this space and really learned the trade. I wouldn’t say I was a natural born salesman. Fred Diamond: What are some of the things that you recall from your early days that you still utilize today? Dario Campolattaro: I think the biggest one is just tenacity. I learned early on in my career that sometimes hard work can trump talent when it comes to sales, the person who wants it more can win and I kind of hold true to that still today. Fred Diamond: Give us some examples. What would that look like in your day to day or for some of the sales professionals who work for you, what would that tenacity look like? Dario Campolattaro: I think it might vary for industries, certainly, but for us it’s really connecting with as many people as possible on a daily basis either through phone, LinkedIn, social media, networking events and telling our story, telling our value proposition and how we can help them. The consistency and the tenacity in doing that every day for a long period of time is probably one of the biggest challenges in being able to be successful in this business. Fred Diamond: You’ve been in insurance sales how long now has it been? Fred Diamond: 25 years, congratulations. Fred Diamond: You must have seen tons of people who haven’t made it, but then there’s also a whole bunch of guys like you and ladies who have made it. Is it a huge drop off? Is it one of those industries where people just maybe start and just kind of keep dropping off like flies, or what have you seen? Dario Campolattaro: I think in insurance sales specifically I think there’s probably a pretty decent amount of churn. I think some people in their careers often times I’ll talk to people and they say, “Oh, yeah, I tried insurance or I thought about going into insurance.” There is a pretty high level of fall off, I think like most sales jobs, somebody has to give it a fair 3 to 5 years to really feel and determine if they’re going to be successful in the industry. It’s really about sticking with it and just persevering through those kind of tough first couple years grinding it out. Fred Diamond: We’re going to ask a question later on about the career in sales and how hard and challenging it is but since you brought it up, did you have those moments along the way where it just wasn’t looking like this was the best thing for you to do as a career? Dario Campolattaro: Absolutely. A few times I remember early on in my career when I first started sales we started putting our goals together. One of my first managers said, “Hey, we’re going to do our goals.” One of my first goals was I wanted to be in that job in six months and I was really questioning if I was going to be there in six months and then the next time a year went by and I was there, and I put that same goal on my list and continued to push through and keep that up. Fred Diamond: Let’s talk about you specifically. What specifically are you an expert in? Tell us a little more about your specific area of brilliance. Dario Campolattaro: I’m brilliant in many ways, Fred. Dario Campolattaro: I will tell you that. But I can only take a couple minutes here to tell you. I try to position myself as a strategic partner to my clients really helping them develop a benefit plan and design that is both competitive and attractive in keeping talent, and equally important – sometimes more important – is keeping their cost down. The rising cost of healthcare is astronomical and what we try to do and personally is try to consult in how they can manage those benefits and keep their cost down while still attracting and retaining talent. Fred Diamond: I imagine over a long 25 year career that you’ve had some very impactful sales career mentors. Why don’t you tell us about a mentor or two and how they impacted your career? Dario Campolattaro: I can think of a few and often times I think about mentors or a role model and sometimes I struggle to find those people but there are a couple people that made an impression on my mind. One of them was one of my first CEO’s and he really instilled the notion of goal setting and writing those goals down. One of the old things I remember and I’ve never fact checked this, but if you write a goal down you have an 80% chance of hitting that goal. I’ve always been a big believer in writing those goals down, both professional and personal goals and visiting them periodically throughout the year and updating them every year. Fred Diamond: What are two of the biggest challenges that you’re facing today as a sales leader? Dario Campolattaro: I would say personally my biggest challenge right now as a sales leader is finding good sales producers. People that are willing to put the stick-to-itiveness into the profession of sales. Sales is a very challenging but very rewarding business. Finding those people that are willing to have that grit and that fire in their belly to be successful seems to be a little more difficult to find. The other one which is closely related is keeping those people. At times what I’ve discovered is I can help identify some of that talent, nurture them over a couple of years and either their patience runs out for the length of time it takes to be successful at this business or they choose to go back to a prior career that they had that was more comfortable. Again, not everybody’s cut for sales. Fred Diamond: If you were to hire some people today, what are some of the things, more specifically, that you would look for in the sales people who would be successful long term working for a company like Summit Insurance Services? Dario Campolattaro: There are some of the basic ones that would be very personable, outgoing, some of the basic sales traits. I think right now the profession of sales you have to be much more consultative. You have to be good at listening which again is not a characteristic most sales people have, but then at some of the more basic ones I would say tenacity, stick-to-itiveness, grit I mentioned earlier and probably most importantly somebody who’s disciplined in practicing their skill set every day for a long period of time. Fred Diamond: For someone who would come into a company like yours, how many – just to give our audience, the Sales Game Changers listening today – how many new clients would they need to bring on in a continual basis to have a successful career in sales? Dario Campolattaro: That’s a tough question to answer simply, but I would say it doesn’t require a tremendous amount of new client acquisition, it’s really about bringing on the right client and the sales lead for employee benefits and employee benefit consulting is pretty long. But I would say if somebody’s bringing on a new client, one every other month, six in a year, they can have a pretty good career in this business. If they keep that up it has to continue because in insurance you’re building up a book of business so you have to do it year in, year out. Fred Diamond: Dario, take us back to the #1 specific sale success or win from your career that you’re most proud of. Take us back to that moment. Dario Campolattaro: If I go back to my career, my #1 win was a car dealership I had in Baltimore, that’s a pretty interesting part of the Baltimore market. It was a car dealership and I was green as grass at that point. I was probably 23, 24 years old calling on the controller of a large automobile dealership meeting with the owner of the dealership and pretty intimidating but through just sticking with it, being available, responsive, present in front of the client allowed me to win that business. I remember fondly, it’s a great win. Fred Diamond: One quick question as it relates to that. I have to imagine your industry as extremely competitive. Fred Diamond: Obviously people who watch TV know of a lot of big brands, if you will, but also on the B to B side there’s a whole bunch of other companies that offer the types of products that you do. Besides the tenacity and grit and process, what are some of the things that would lead someone to leave their insurance provider for a company like yours? Dario Campolattaro: I think the good news about our industry is there has a tendency to be complacency. Our objective is to help the client who’s being under-served and identifying that client not necessarily pointing out why they’re being under-served but demonstrating to them all the ways that we can help them. The insurance industry today has become very complex with healthcare reform, compliance, regulatory challenges and our job is to really help fill those needs and ensure that we can protect our clients and win them over based on some of the services that they’re not getting today from the current consultant and the broker. 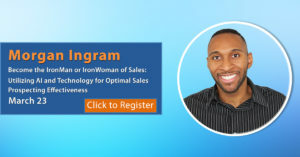 Fred Diamond: Did you ever question being in sales? Earnestly, was there ever a moment where you really said to yourself, “This is just too hard, it really isn’t for me”? 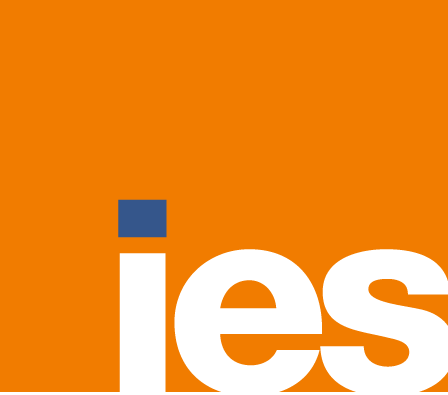 The IT industry has boomed and at times I’ve looked out the window a bit but insurance has been steady-Eddy on both a few different economic downturns, insurance continues to be a very stable industry to be in. Fred Diamond: You mentioned that one of the biggest challenges you face is finding good sales producers and then of course retaining them. Give us a little bit of a commercial here on the profession of insurance sales. Why would someone who has an option who’s 22 or something or 23 who’s considering sales, why would they want to sell insurance as compared to IT or media services or something like that? Dario Campolattaro: I think that’s a two part question. One is the company I work for which is Summit. We have a lot of great ways that we support our producers, train our producers and give them a career ahead of them and that’s really the cornerstone of this industry, it’s a career. It’s not something somebody’s going to trial on for a year or two and try something else. We want to really partner with somebody that’s going to have a long term, thriving success in this industry and it’s stability, it’s building a book of business so as you’re selling, you’re getting basically annuitizing your business which gives you up time potential down the road. It really elevates who you’re going to be working with as far as in the market place. Fred Diamond: Dario, let’s get some of your tips on how the Sales Game Changers listening today can get ahead. First, what is the most important thing you want to get across to selling professionals listening to today’s podcast to help them improve their career? Dario Campolattaro: Absolutely. I think one of the key things I would say to a junior, an up and coming sales person is you’ve got to have a business development plan. I think one of the biggest challenges in this industry or really in any sales industry is who are you going to be telling your story to. Who are you going to sell? But more importantly, how are you going to do it and how are you going to get in front of them and present that value proposition. I would say you’ve got to have a plan, a BD plan and you’ve got to work it pretty aggressively, long term. Fred Diamond: What are some of the things you do specifically to sharpen your saw and stay fresh? Dario Campolattaro: I would say twofold. One is I currently and actively develop business so I want to stay in front of a customer. I want to be able to say to a sales person that I know what they’re going through because I’m going through it, too. That’s first and foremost. The other is I like to sharpen my pencil by getting out in the field and developing new business, too. So I have a book of business that I manage and service but I also like to get out and shake some hands and try to bring in some business as well. Dario Campolattaro: At Summit I’m excited because we try to stay forward thinking so the insurance industry is a relatively stagnant type of industry, not one that I would say is forward thinking. At Summit we’re trying to be innovative, dynamic, fluid, forward thinking, flexible and these are terms again that aren’t normally related to insurance. And we’re doing that through being very consultative, being subject matter experts in the key things that clients are looking for and really sum it up to ability to negotiate pricing and plan designs, support and response time and then most importantly right now is compliance. Fred Diamond: Sales is hard. People don’t return your calls. You talked about the need to continually be tenacious and it’s hard to be tenacious. People don’t return your calls or your emails. Why have you continued? What again is it about sales as a career that keeps you going? Dario Campolattaro: It’s definitely the hunt and then the win, but it seems to be that as I look back on those wins the hunt is almost the better part and really the pursuit of chasing that prospect, and it is hard. I grew with it, Fred. The sales industry is a tough industry, I don’t care what you’re selling, I think it’s going to be difficult but if you have the tenacity and the passion and really the desire to be successful, I think it’s one of the few professions that still allows somebody to do that that maybe doesn’t really have a professional background, so to speak. Fred Diamond: Give us one final thought to inspire our listeners. Dario Campolattaro: My final thought on that would be if you’re going to choose to be in the sales profession, you have to practice your art, your craft. You have to understand your products, you have to be accurate, incredible and I think most importantly what I try to talk about with my team is you’ve got to elevate your game. How do you differentiate yourself against the other person in your field and elevate your position in front of your prospects.